Jessica Gaudie was never seen again after she left home on August 28 1999 to babysit three young children, for Derek Sam's estranged de facto, Mia Summers, who lived a short distance away in Ridgewood Street, Burnside, QLD and wanted to go to a birthday party that evening. He claimed he had dropped Jessica off at the intersection of Bonney and Elizabeth streets, Nambour. Derek Sam has been convicted of Jessica's murder however Jessica is still missing. If you have any information please contact Crimestoppers on 1800 333 000. DEREK Sam sat staring at the ground, then at the ceiling before he said what three desperate families were begging not to hear. Asked the direct question _ what had he done with the body of Jessica Gaudie _ Sam remained silent in the witness box for 30 long seconds. It was a moment of extreme intensity. It was as if no one in the room was able to take a breath. Finally, Sam's gaze turned to the police and the families sitting behind them in the Maroochydore court gallery. He raised his shoulders slightly into a resigned shrug. The words came out softly after a deep breath, dashing the hopes of three families who had come to the inquiry hoping to learn the ultimate fate of their loved ones. "If that's how it's going to be, I'll die in jail. I cannot put my hand up for a crime I didn't commit,'' he said. The man who has been sentenced to life for the killing of the Nambour teenager, and tops the list of suspects for the disappearance of British backpacker Celena Bridge and Kenilworth teacher-aid Ann Glassop in 1998 and 1999, said there was nothing more he could tell. The response followed a last bid to coax information from the convicted killer. "I know you want to go up north. You can't get visitors now,'' Shane Panoho, the police officer assisting the coroner, said. POLICE hope a new coronial inquest could help crack two of the Sunshine Coast's longest running murder mysteries - and find the body of murdered babysitter Jessica Gaudie. Police are re-examining the disappearance of English backpacker Celena Bridge, 28, and Kenilworth teacher's aide Sabrina Ann Glassop, 46. ABC reported on on Wednesday that two officers had been assigned to the case. Detectives believes Derek Bellington Sam, who is serving a life sentence for murdering teenage babysitter Jessica Gaudie on the Coast in 1999 - is the only person of interest in the other two deaths. The older women both disappeared on the Sunshine Coast around the same time as Jessica was killed. Ms Bridge was last seen near Booloumba Creek Rd in Kenilworth on Thursday, July 16, 1998, and Ms Glassop was last seen at her home on the corner of Booloumba Creek Rd and Maleny-Kenilworth Rd on Friday, May 28, 1999. The bodies of all three victims - including Jessica Gaudie - have never been found. Detective Senior Sergeant Darren Edwards told the ABC police had uncovered new leads. "We may seek the assistance of a coroner for a possible further inquest to explore that new information," he said. He said he hoped some witnesses may now be more willing to speak up. "They had some fears at that time that made them hesitant to provide information. Those fears may be removed now." Coast detectives reopened the cold case in July last year, appealing for information. Mr Edwards said officers had been speaking to people from North Queensland, who had links to Sam. "It is still a priority for us to get some disclosures by Sam as to the whereabouts of Gaudie's remains," Detective Senior Sergeant Edwards said at the time. "Some people have been able to provide police with some new information, which will assist us with these inquiries." 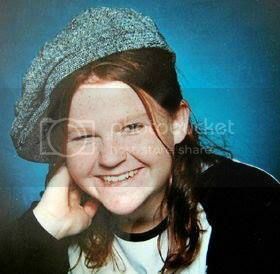 Miss Gaudie went missing just three months later on August 28, 1999, from Burnside. Anyone with information should phone the Sunshine Coast Criminal Investigation Branch on 5475 2444.